The ACT Government has managed to achieve what no other state or territory government has been able to do – prise federal money out of the Abbott government to spend on public transport infrastructure. It is a highly unusual move. The current federal Liberal government have gone out of their way to state repeatedly that they will not spend any money on state public transport, yet are happy to spend it on roads. The agreement signed today between Chief Minister Barr and Federal Treasurer Joe Hockey, answers once and for all the question of how this infrastructure program will be paid for. The $460 million that will accrue as a combination of $400 million dollars in ACT Government asset sales, and $60 million from the federal governments asset recycling bonus, will all be allocated towards Capital Metro. The scheme that the ACT Government has taken advantage of will see the federal Government pay 15% of the total asset sale as a bonus for doing so. Read the Federal Treasurers announcement here. It is a unique program, and much credit must be given to the ACT Government for negotiating their way to raising $460 million dollars to pay for an $800 million dollar project – especially when the first payment for Capital Metro will not be made until 2020 (payment can only be made once service has commenced). Now the funding issue has been resolved, what are the local political implications? The federal liberal government decision politically isolates the Canberra Liberals. Not one of the business groups that may traditionally have supported the Canberra Liberals opposes the light rail project. While they want a convention Centre, they also want light rail. They all appreciate the city building potential that Capital metro delivers as a once in a generation opportunity. 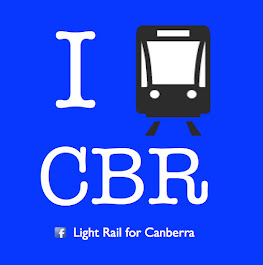 the next Assembly election the Canberra Liberals must have a light rail policy. addresses the ‘How will it be paid for?’ question. Today’s announcement is further indication that the Barr Government has a clear vision for Canberra’s future that is forward looking, and not modeled on looking in the rear view mirror of a car. Future projects planned for Canberra: City to the Lake, a new Convention Centre and a new all-weather stadium - can all proceed when the basic transport infrastructure to support the large volumes of people and visitors they will attract, are in place. A tendril of the light rail is planned for the Parliamentary Triangle, and at some point it will reach across the lake. Today’s announcement on funding and the federal contribution is a significant moment in Canberra politics. Capital Metro was always a bold and expensive project and it has taken enormous political courage to progress it to this stage. Many people will feel more comfortable knowing that over half of the money required to build it will be raised with no impact on other services, and without borrowing. The remaining 400 million will be paid off over a 20-year period, and the children of today’s Canberrans will be handed back an asset by the consortium that builds it. By that stage future extensions may reach Tuggeranong and Queanbeayan and the arguments that we are having today will be long forgotten. The Canberra Times have this article on todays newspaper on this issue. Business case does allow for a down payment to be made prior to the completion of the line (ie before 2020). Actual amount raised may differ depending on timing of asset sales and whether the estimated sale price is achieved. If estimate is based on 2015 prices, it's not out of the question for more to be achieved if sales don't proceed for a few years. 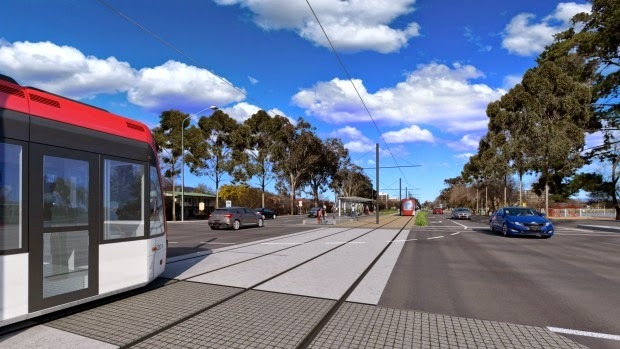 Can Light Rail work for Canberra?